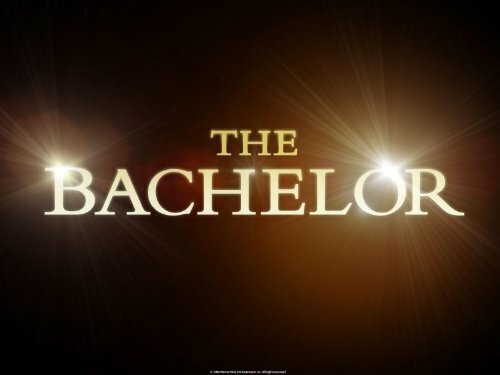 Quick Take: The Bachelor (Sean Lowe), "Week 7"
Review: The Bachelor (Sean Lowe), "Week 7"
(S1707) It is now down to the wire this week in St. Croix with hometown dates on the line. The first date card goes to Ashlee and as she goes to get ready Tierra makes remarks about how the cougar is back in town then proceeds to talk about, to the camera, how sad it is that Ashlee is 32 and still dating. First of all, it is okay to still be 32 and dating and second, after this show Tierra might end up 32 and still dating. Sean takes Ashlee on a boat to an island where they swim and enjoy each other’s company. When Sean asks about the drama going on with Tierra, Ashlee doesn’t hold back and tells him how Tierra is not a warm person. Sean acts like he can hardly believe what he is hearing, even though he has heard it before. At dinner, Ashlee spills that she has been married before, but Sean doesn’t let it bother him. She ends up telling him that she loves him. Back at the hotel, Tierra gets the next one on one date, but tells the other girls she rather be going on a boat since the date card says they will be going out on the town. On their date, they go shopping and after Sean buys her things she isn’t complaining anymore. Sean asks her about the girls and she says that she tries with them, but they ignore her. Sean is a little distant with her and she realizes someone might have said something. At dinner she asks him what is wrong and he admits the drama has had him on edge. She tells him that she is falling for him and hopes he will take that into consideration, despite what he has heard. Catherine, Desiree, Lindsay are on the group date and Sean busts in on them at four in the morning to take them to see the sunrise. They embark on a road trip across the island so they can finish the day with the sunset. Out of all the dates, this is the only one with a rose. He has time with each of the women, but gives it to Lindsay. Sean has his last date with Lesley, but he has reservations about her since he feels stronger for other women. Lesley wants to tell him she is falling for him, but she has a hard time doing it. By the end of their date, Lesley can’t express her feelings. This may spell trouble for her later on since others have claimed their love for Sean. Sean’s sister Shay shows up and they have a heart to heart. He tells her he could see proposing to all of them and she admits she is afraid he will pick the wrong girl and get hurt. He tells her about Tierra and admits he likes her, but none of the girls do. Shay’s advice before he left was to not pick the girl that can’t get along with the other women. Back at the hotel, Tierra and Ashlee are having it out. Tierra tells Ashlee that the other girls are jealous of her because men like her while Ashlee tries to tell Tierra that she has been rude to everyone this whole time. She walks away from Ashlee, but then confronts her again when she sees Ashlee talking to Lesley and Catherine. She accuses Ashlee of sabotaging her relationship with Sean, but Ashlee tells her that she only said something to Sean because he asked. I am really glad that Ashlee defended herself and some of the things that Tierra said were just ridiculous. While they are fighting, Sean is making his way back to their room to get Tierra so she can meet Shay. He finds her crying and she tells him that she confronted Ashlee and she feels like Ashlee is out to get her. Sean takes a moment to think about his sister’s advice and he ends up sending Tierra home. She is not happy, but doesn’t put up a fight. At the rose ceremony, the girls are wondering where Tierra is and Sean comes in to confirm that she was sent home. He makes it a point that he does not tolerate drama and Ashlee starts to worry a little, especially when Sean tells them he has made up his mind and does not want a cocktail party. At the rose ceremony, Sean picks Desiree, Catherine and Ashlee, along with Lindsay, for the hometown dates. I am definitely sad for Lesley, she was one of my favorites, but Sean’s final four is pretty good. Desiree and Ashlee seem like they fit best with him. They haven’t shown much of Lindsay and Catherine, so now that Tierra is gone, hopefully we will get more of them to see where they fit in. As of right now though, there isn’t a clear front runner, but usually the hometown dates change that. It was good to see that Sean finally realized how dramatic Tierra was. I couldn’t see him wanting to deal with that for the rest of his life. One thing that is certain is how interesting the Women Tell All special is going to be.